Now this is an assembly require kit which means cut marks and no paint work - only stickers! Now these stickers weren't even cut like typical so I had to use scissors to cut between the designs - I am not a fan of stickers instead of paint work and these stickers were horrible. You will see below that I couldn't get the main sign sticker to go on without air bubbles. 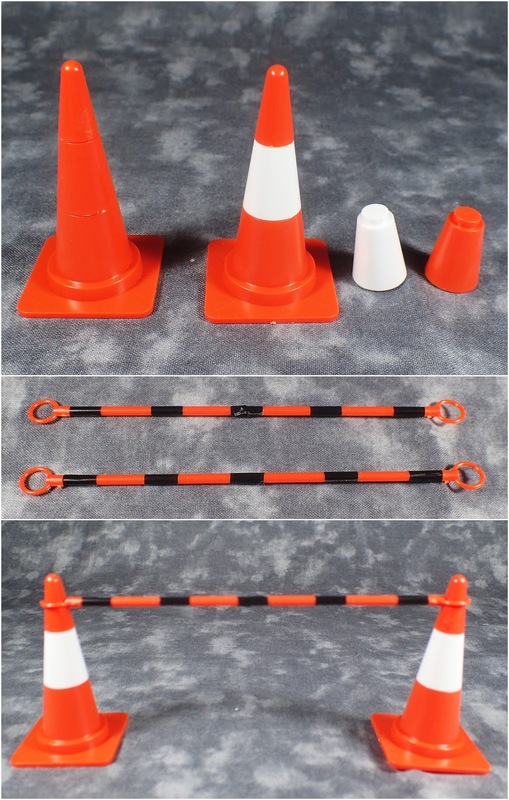 As for the items you get the triangle shaped barrier, two cones with the choice of having either white or orange middles which is neat, you also get two bars to loop over the cones (although unless you get two sets you can't really use the second loop). The stickers look particularly bad on the poles and if you use them on both you don't have enough black strips to put on another accessory - these bar type things (which I guess are for directing traffic or people away from the area). There is also a hard hat. 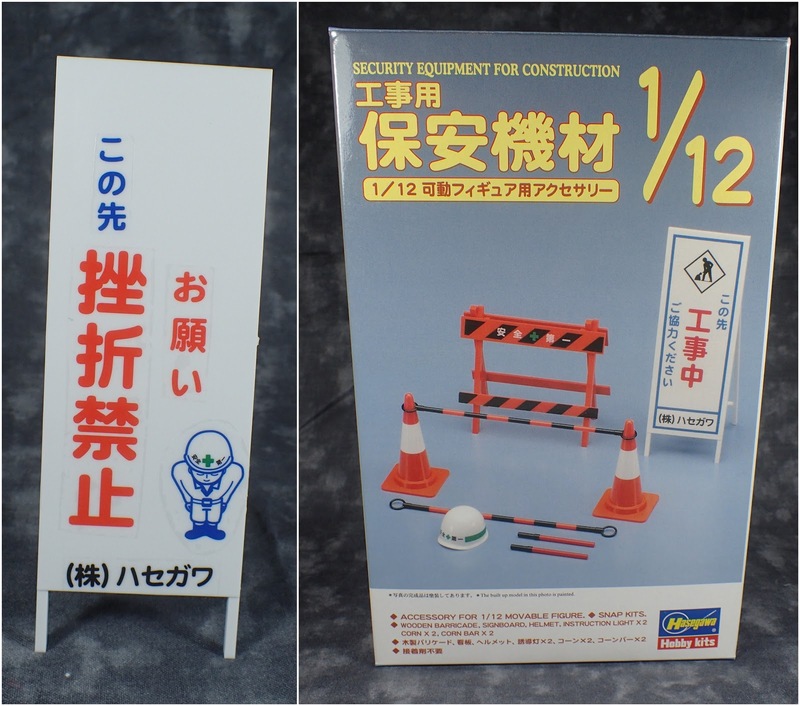 You do get a lot of choices for the text you can put on the sign but as I can't read Japanese I simply copied one of the options from the box art. 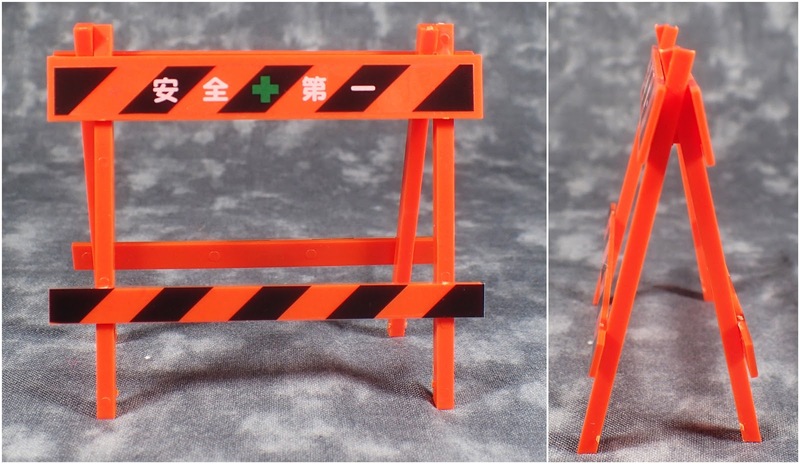 Overall I would only recemmend this set if you plan on painting it (which I will probably end up doing) I will prob also end up printing out an English sign to glue to the sign.